Getting a Mortgage Loan for Manufactured Homes – It’s Easier Than You Think! Manufactured homes are a good alternative to conventional homes, but still follow a similar home buying process. 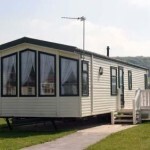 A manufactured home, also referred to as a mobile home, is a type of home that is factory built, with a steel frame, and that can be transported anywhere on its own wheels. This can also mean homes that are prefabricated, meaning that they look very similar to traditional houses, but are built as modules that are then transported and assembled on a normal house foundation. These types of homes are usually cheaper than traditional homes, but most people will still probably have to take out a mortgage loan in order to purchase a manufactured home. Unfortunately, getting a home loan for a manufactured home can be more difficult than taking out a mortgage for a traditional home. Not only that, but you will most likely have to pay a higher interest rate on a manufactured home. Two or three percent more on your interest rate can mean thousands over time. Here are a few options if you are considering buying a manufactured home with a mortgage loan. The Federal Housing Administration (FHA) and the United States Department of Veterans Affairs (VA) have designed mortgage loans that can help home buyers with lower incomes as well as for military active and retired personnel. Because the minimum square footage is required to be 400 feet for an FHA loan to be approved for purchasing a manufactured home, single-wide homes cannot be bought using this type of government insured mortgage loan. Also, the home owner must pay the same property taxes as he or she would pay on a traditional home. In most areas the owners are required to strap the manufactured home to the ground using anchors or concrete pylons. The home’s wheels may have to be taken down, depending on that area’s regulations. The amount that you can borrow to purchase a manufactured home is much lower than the amount that you can borrow for a traditional home, when taking out an FHA mortgage loan, and it is based on whether you take out a mortgage for the lot, the home, or both. The United States Department of Veterans Affairs requires that you use the home as your primary residence in order to qualify for a VA loan. Your credit score must be good and your debt shouldn’t be more than 41 percent of your income. You are able to borrow up to 95 percent of the home’s value with a VA mortgage loan. If you own the lot on which the manufactured home will be placed, and if it will be placed on a house foundation, you will receive better interest rates and loan terms from lenders. If the home will be your residence, you will be able to deduct your interest payments. However, this won’t be the case if you rent the property. Normally, financing for manufactured homes is done through the company that sells the home. Other lenders will, most likely, require that you own the lot on which the house will be, or your mortgage loan application will risk being denied. Manufactured homes are cheaper than traditional homes and is a great alternative when you don’t have enough money available to buy a home. Before buying a home with a mortgage loan, do a little research in order to avoid being denied the loan for something that could have been prevented. Over the past few years, interest rates have kept falling, reaching record lows. More than likely, you know people who have refinanced and now have much lower interest rates than you do on your mortgage. Refinancing is one way of lowering it, and it can be beneficial in most cases, especially when rates are this low. But you did your homework and came to the conclusion that refinancing will lower your monthly payment, but not enough to make up for the high closing costs. Another reason why you are not refinancing can be that you simply can’t afford it. Fortunately, there is another way in which you can lower your mortgage, without paying thousands in closing costs. Most people are refinancing as soon as the rates fall, without taking the high closing cost and the fact that they are basically resetting their mortgage into consideration. For some, lowering their mortgage interest rate is the only way they can get some peace of mind, so current mortgage rates today seem very attractive. If you are someone who reached the conclusion that refinancing doesn’t make sense for you, but would still like to lower your mortgage rate, then you should know that there are alternatives. If you can’t afford to refinance because of the high closing costs, or you simply don’t want to refinance but can afford to make a larger monthly payment, then you can talk to your lender about lowering your interest rate by prepaying the mortgage principal. By making additional payments towards your principal each month, you can even save as much as you would by refinancing. Restarting a mortgage through refinancing is time consuming and expensive, but if your monthly budget allows you to spend a little extra on your mortgage each month, then this is a great alternatives. Of course, this alternative will increase your monthly mortgage payments, but prepaying your mortgage will save you money in the long run. Another way in which you could make paying your mortgage easier is by convincing your lender to give you a better rate. You can start by contacting your lender and explaining that you would like a better interest rate, but can’t afford to refinance, or simply choose not to because it wouldn’t make sense financially. If you have a good relationship with your lender, they might agree without giving you too much trouble. Talk to your lender about your financial trouble, so that they can make sure that you deserve to have your loan modified. The lender could modify the loan, or he could help you go through the government’s Home Affordable Modification Program, which is designed to help home owners who are facing financial difficulties keep their homes. In many cases, refinancing is the best choice when looking to reduce your mortgage payments. Unfortunately, being an expensive process with plenty of drawbacks, it is not for everyone. So, if you do the proper research and find out that refinancing is not an option for you, then you are better off trying to get a lower mortgage rate without refinancing, through one of the alternatives described in this article. Refinancing can save you lots of money, especially right now with interest rates near record lows. But refinancing can quickly turn ugly if you don’t pay attention to every detail. Most times, refinancing your mortgage looks great at first glance, but you need to know when to refinance and how often. Lately, interest rates have started to increase again, but rates were at record lows recently. 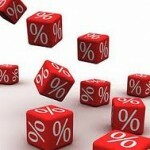 Many home owners have taken advantage of the new interest rates and refinanced their mortgages. But some have been doing it again and again without seriously taking into account the negative aspects of refinancing multiple times. Generally, home owners are advised to not refinance more often than every 3 years because the cost of refinancing is high and can quickly become a burden, making loans actually cost more than if they had stayed with the initial interest rates. The truth is that if you can refinance for a much lower interest rate and plan on living in the home for a long time, then refinancing should be considered, even if it hasn’t been 3 years since you last did it. Here are a few reasons why refinancing a second time is an attractive option. First, and most important, the more you can lower your interest rate, the more sense it will make to refinance again. Lowering your interest rate by, for example, 1 percent will result in great savings, which will far exceed the refinancing cost. Interest rates are on the rise right now, but they are still low, so refinancing again might still make sense. Before refinancing a second time, you must make sure that what you save in interest costs will exceed the cost of the refinance; otherwise, you will be losing money. Refinancing again can also help you remove a borrower from your mortgage. If, for example, you bought the home together with a friend or family member and one or both parties no longer wants to have their name on the mortgage, this can be rectified by refinancing. Most lenders will also require you to refinance if you want to remove your spouse from the mortgage after divorce. Refinancing for a second time before the recommended 3 years also makes sense if your financial situation changes. For example, if your income decreases, you might not be able to pay your mortgage anymore because the monthly payments are too large, so refinancing into a mortgage with longer terms will lower your payments. Changes in your financial situation can also mean that your credit score has improved, which will help you qualify for a better interest rate. A cash-out refinance can make sense, even if you just recently refinanced. This kind of refinance occurs when you take out a larger mortgage than the one you have now and receive the difference as cash. A cash-out refinance can provide money you might need for repairs, improvements, medical bills, or school tuition, but you need to understand that this will lower the equity in your home, so you will receive significantly less money if you decide to sell your home (Read: Is Cash-Out Refinancing a Good Idea?). Refinancing your mortgage the second time around should not pose any difficulties, unless your credit score has gone down or you are facing other financial issues. You must keep in mind before starting the process that refinancing is expensive. Many home owners are so blinded by the new lower interest rate that they forget to take the refinancing cost into account and end up actually paying more than they did for their initial loan. 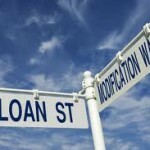 Mortgage Loan Modification: How Can You Benefit? Many events can affect your ability to pay your mortgage, especially in times of economic unrest. Changes in the housing market, losing a job, or even divorce or illness can have a huge impact on your financial situation. Not being able to make payments on your mortgage anymore is a home owner’s worst nightmare, because the time to recover is short, and you will be in danger of losing your home. If you find yourself in this situation, you should know that you have at least one option to keep your home and continue to pay for your mortgage. This option is called mortgage loan modification, and it might be just what you need in order to avoid having to give up your home. What is Mortgage Loan Modification and How Does It Work? A mortgage loan modification involves modifying the terms on your mortgage loan, by your lender. Mortgage loan modification can affect the interest rate, the total loan amount, or the type of mortgage loan. The object is to make your mortgage easier to pay, usually by lowering your monthly payments. If you are late on your mortgage payments, the lender might agree to a loan modification, which will give you the chance to get back on track and allow you to pay the late mortgage payments, and modify the loan in such a way that will make your life easier. Mortgage lenders are not required to agree to a mortgage loan modification, but they will prefer it to foreclosure. You could try to get refinancing instead, but if you are already late on your monthly payments, this will reflect on your credit score, thus taking refinancing out of the equation. If you decide to go ahead and apply for mortgage loan modification, then you should contact your lender as soon as possible, and complete an application that lists your financial situation. If you are being offered a mortgage loan modification, make sure that you carefully compare all the terms to your original mortgage loan. The goal here is to make things easier for you financially, not ending up regretting the decision in a few years or even sooner. Take a close look at your remaining loan balance, the interest rate that is offered, the type of interest rate, penalties, fees, and, of course, what your new monthly payment will be. Mortgage Loan Term Extension. By extending you loan’s repayment term, you will be able to reduce your monthly payment significantly. You will probably have to pay more in interest over the life of the loan, but at least it saves you from foreclosure, and it’s an even better alternative if you don’t plan on remaining in that home for a long period of time. Interest Rate Reduction. Your lender might agree to reduce your interest rate for a while if that would get you back on your feet financially, and back to making regular mortgage payments. Even if it’s for a short period of time, having to pay a lower interest rate can really help you recover from a financial crisis. Refinancing is the only choice that you have of reducing your interest rate permanently, but it might not be an option at this point. Principal Forbearance. Your lender might agree to allow you to pay no interest on part of your mortgage loan, but you will still have to pay the entire principal when your home is sold or refinanced, or when the mortgage loan reaches its due date. Principal Reduction. Probably the best way of having your monthly payment reduced, principal reduction means that the lender reduces the principal that you owe, and you won’t have to repay that part of the loan. Mortgage loan modification can mean the difference between a home owner keeping his house or going into foreclosure. It’s not that simple to qualify for a mortgage loan modification, but, if you do meet the requirements, make sure that you do the proper research and understand how your mortgage loan will be modified. Mortgage loan modification is a great way of helping you recover from financial trouble, and avoid having your home taken from you. Do You Recognize the Early Warning Signs for Increasing Home Interest Rates? Home interest rates are near historic lows at the moment, but have started to slowly increase since last year when they were at an all-time low. For the past few months, interest rates have been steadily rising and, while a huge increase is very unlikely, so are further decreases. Mortgage rates today for a 30-year fixed-rate mortgage are around the 3.5 percent mark, an increase over the November 2012 rate of 3.31 percent. Rates for a 10-year fixed-rate mortgage are hovering around 2.60 percent, staying near the historic lows reached last year. 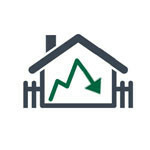 Rates are expected to go over 3.75 percent by the end of 2013, and maybe even reach 4 percent. This increase will affect homeowners who wish to refinance more than they will affect people who are looking to buy a home. This rise in mortgage interest rates will make buying a home more expensive, but it isn’t expected to slow down the housing market recovery. During the past few years, the Federal Reserve has purchased bonds for hundreds of millions of dollars, which keeps the mortgage interest rates low, in order to attract more consumers and investors. The result was an increase in refinances, but it hasn’t generated as many home purchases as it was expected. 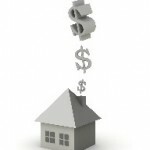 The main factor that will contribute to increasing home interest rates is the economic growth. Along with economic growth, there will be a decrease in unemployment rates, an increase in new construction and home prices, which will stimulate the housing market to grow, and mortgage interest rates will rise. At the end of last year, a 7.8 percent unemployment rate was recorded, the lowest since 2009. As more and more people get jobs, many of them will want or need to relocate, so the real estate market will see more buying activity. Builders are also recovering from the economic recession and are starting to build more new homes, as the demand increases monthly. It is expected that new homes construction for single families will see a 20 percent increase compared to 2012, and multi-family homes a 15 percent increase over last year. The steady increase in home prices helps the economic growth, therefore being a contributing factor to the rise in mortgage interest rates. 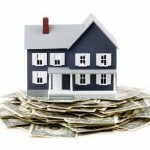 Statistics show that home prices have seen a 10 percent increase between 2011 and 2012. Mortgage loan requirements are still pretty strict, but it is still expected that there will be more home sales in 2013 than there were in 2012. The economy is expected to only grow by 2 percent this year, so the mortgage interest rates increase won’t be so extreme. The economic growth should be a warning sign for all those who wish to buy a home while taking advantage of the near record low interest rates. Unless an unforeseen event that will affect the economy occurs, such as a new economic collapse or war, the economy will continue to grow and even pick up the pace, so looking at the warning signs and being ready to buy will help you save a significant amount of money. Home equity enables a homeowner to use their home as collateral to access more credit; in simple terms, it is referred to as a second mortgage. Borrowers often rush into home equity loans because they feel that these are relatively safe, which they certainly can be if you are careful and do your research before settling on one. Having equity is very important for you saving money in the long run and keeping your home marketable at a potentially higher value than what you paid. Read on to learn about its advantages as well as the ways you can gain home equity. Lower interest rates. In case the interest rate for your original mortgage is higher than the prevailing rate, or if it has a persistently increasing adjustable rate, then a lower interest rate will lower your monthly costs while increasing your home equity. If the interest rates have decreased and you took a fixed rate mortgage earlier on, you can opt to refinance for an adjustable rate mortgage. Higher borrowing capacity. A second mortgage will enable you to borrow more money, thus bringing your indebtedness in the home to around 125 percent or even more than the set value. If the home equity loan rates are volatile then you can opt for fixed interest rates even though they will be slightly higher. No interest charge until cash is utilized. If you haven’t used the extra cash then you will not be charged any interest. This cash is a great financial tool which you can decide to use for home improvement or for other needs. If the money is needed immediately, only a small penalty will be applied. Reduce the balance on your mortgage. As you consistently pay down all of your mortgage balance, you are clearing a portion of both the interest and the principal. These payments must be made on time. As you keep reducing the mortgage balance on your home, the equity value continues to rise. Increased home price. Watch for changes to your home’s value based on market factors. For example, if it costs $200,000 and the price increases to $270,000 after five years, then your home equity will have increased by $70,000. On the other hand, this price may also come down any time. Unfortunately you have little to no power over the market’s influence on home values. Maintain your home well. Taking good care of your home and keeping it updated is paramount to increasing the value of your home and gaining more home equity. Shorten the mortgage term. If you refinance the mortgage so that you pay the balance on your home for a shorter term, say 15 years instead of the original 30 years, then you will clear the loan balance after a short while. This will mean that after a few years, you will have doubled the equity on your home compared to the initial mortgage repayment plan. Pay a larger down payment. Before you take out a mortgage loan initially, you can commit a lot of money to the down payment so that you have a lower mortgage balance. For you to obtain more equity on your home, it essentially means that you have to have a lower-to-value ratio on your loan. Keep up your home’s appearance. When your home stands out from the rest, it makes a difference in your home’s value. Fresh paint, a well-maintained yard and garden, and a clean look will increase your home’s value. The highest return on investment generally comes from kitchen and bathrooms, so be sure these are updated and well-maintained. Opt for a biweekly payment plan. The best way to build equity on your home is to make payments against your balance as regularly as possible. A biweekly payment means that you will be able to pay about 26 times throughout the year instead of the typical 12 when you pay monthly. This means more commitment to clearance of your mortgage balance—which has affects your equity positively. Snowball all other savings to the mortgage. If you have other debts you are paying aside from the mortgage, then you can channel any savings you have towards mortgage repayment. If you have completed making payments on something else, like a car loan, channel the same amount you’ve been paying towards repayment of your mortgage. Channel your budget excesses to the mortgage. If you have a monthly budget for all of your expenses and you’ve saved some $100 or even less then you should commit this amount of money towards repayment of the mortgage. Make extra income. If you’ve been earning $3,000 a month, try aiming for slightly more, like $3,200- a small increase in your income allotted to your mortgage could end up making a huge difference in the amount you pay over the course of your loan. Building equity on your home is a strategy which you must lay out and commit yourself to. If you don’t take the time and care to build equity in your home then you risk suffering negative equity by market forces, which can badly water down the value of your home and cause you to owe more on your mortgage than your home is worth.